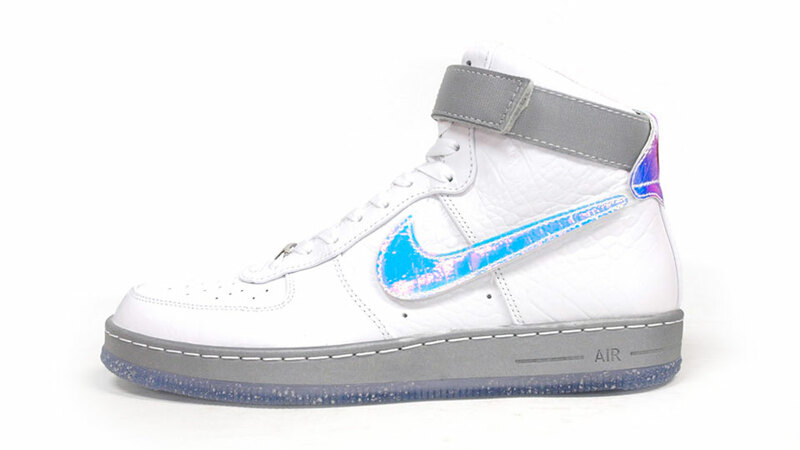 The Nike Air Force 1 Downtown Hi drops this week in a unique quickstrike colorway. 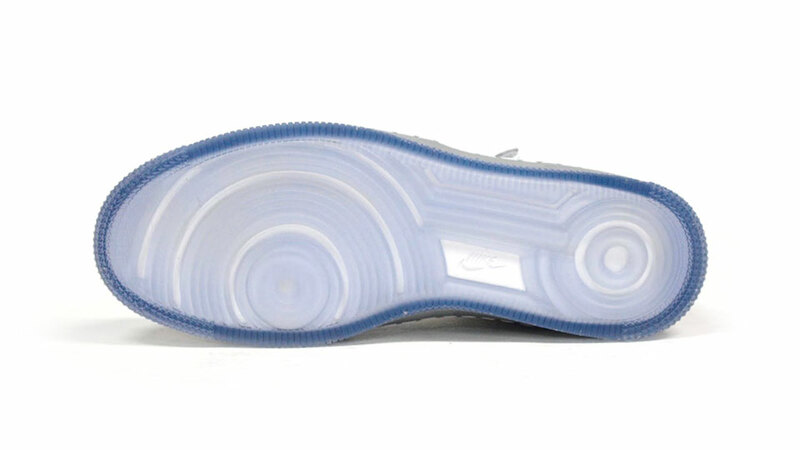 Nike Sportswear follows up on the Lunar Force 1 Hi WOW QS, previewed yesterday, with the eye-catching Air Force 1 Downtown Hi LW QS in White / White, a new colorway releasing this weekend at select retailers. 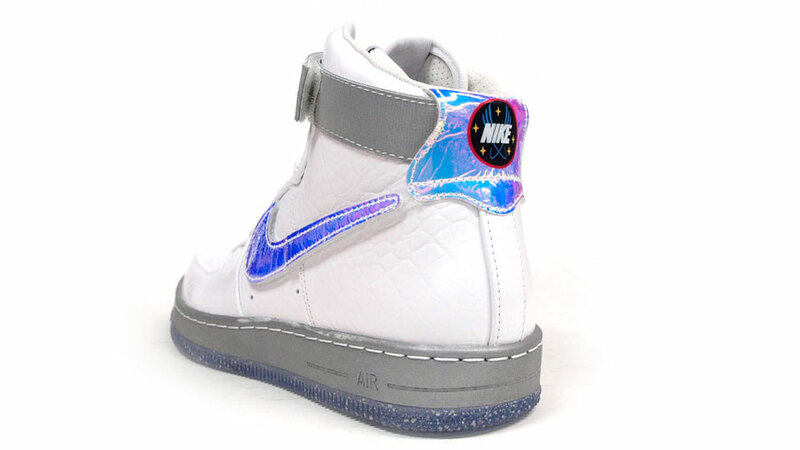 The shoe features a white tumbled leather upper highlighted by iridescent accents, including a removable velcro swoosh. 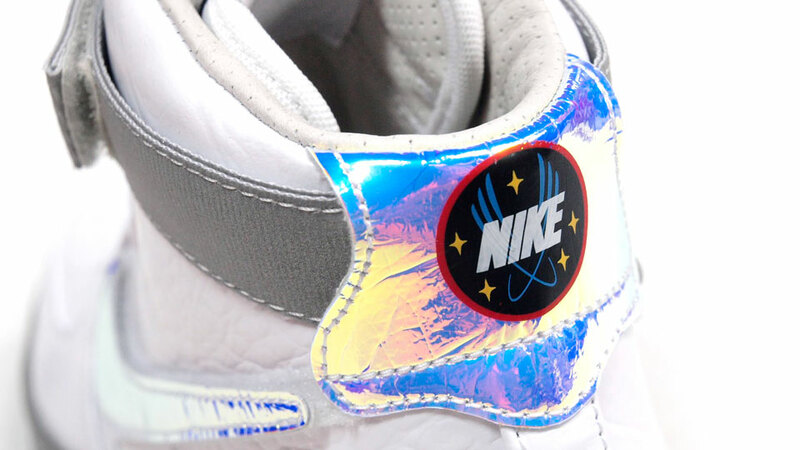 Nike Space Program emblems appear on the heel tab and sockliner. 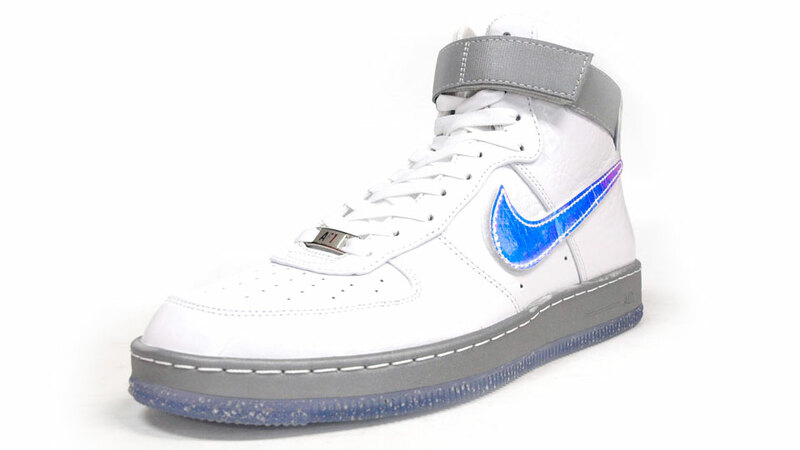 The Nike Air Force 1 Downtown Hi LW QS in White / White drops this Saturday, October 12 at select Nike Sportswear accounts, including mita sneakers.